"Nestled in the coveted foothills of Villa Park, this one of a kind Estate is an absolute masterpiece. 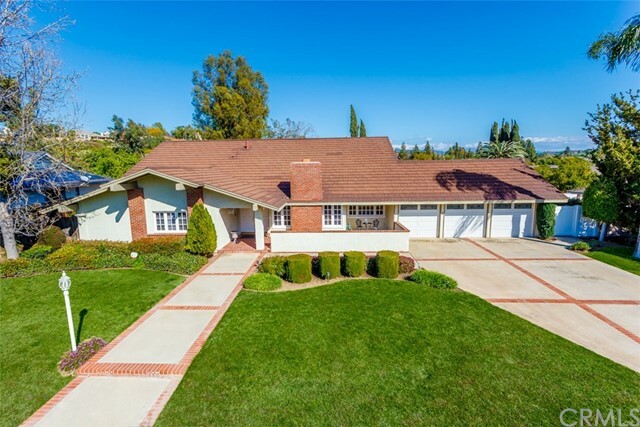 Situated behind private gates on over one acre of pristine sprawling grounds complete with lush gardens, small pond and stream, sports court, rose garden, barn w/ 4 stalls, circular driveway, huge grassy area and stunning canyon views. Finely appointed with all the modern amenities, this estate has it all. Upon entry one notes the expansive bright entry finished with glass inlaid iron doors, marble and limestone floors, coffered ceilings, wainscoting throughout, finish carpentry, and exquisite chandeliers. Huge formal living room with cathedral ceilings, beautiful fireplace, custom cabinetry, wood floors, and designer chandelier. Formal dining room is spacious with French doors to the manicured back yard and T and G ceiling. Kitchen is finished with high end custom cabinetry, Ceasarstone Quartz counters, massive island, spacious kitchen nook, SS appliances, covered loggia, and scenic views of the grounds through huge bay of French doors and windows. Master bedroom is complete with spacious retreat and patio overlooking sprawling grounds. Master bath is a dream with designer-boutique styled master closet, personal salon with salon chairs, walk-in shower and soaking tub. Other details: recessed lighting, surround sound, 16 security cameras, sparkling lap pool, outdoor bath, play set, brass interior fixtures, outdoor fireplace and BBQ, nest A/C, Theatre room, and more!!!" "Amazing custom floor plan and layout estate home with a gym/dance studio and competition size racket ball/handball/sports room inside the home that just flows from custom room to custom room. Top of the hill estate with Catalina Island views, city views and very private. Home does need some TLC. Dinning room chandelier and master bedroom window treatments are not included." 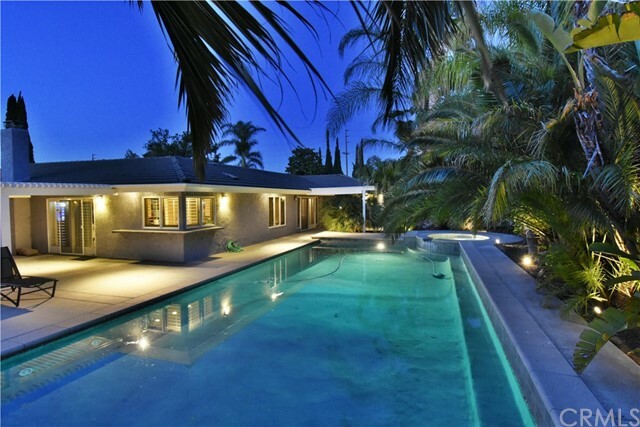 "Enjoying supreme privacy at the end of one of the most beautiful cul-de-sacs in Villa Park, masterful design and modern luxury are uniquely embodied in this stunningly remodeled, upgraded home. Completely re-built from the studs up in 2008, this home offers every modern design element found in a newly constructed home, with high ceilings, elite craftsmanship utilizing the finest materials, high-end finishes and fixtures. A spectacular open floor plan encompasses a spacious great room, living & dining rooms adjacent to the kitchen, featuring Thermador appliances, custom cabinetry, granite counters, large center island/breakfast bar and walk-in pantry. An inviting, fireside family room offers views and sliding access to the large outdoor entertaining areas. The master suite is an intimate hideaway, featuring a stone fireplace, sitting area, boutique-sized walk-in closet, sliding door access to the patio, a spa-worthy travertine en-suite bath with spa tub and rain head shower. The main floor adds 4 bedrooms, all with private en-suite baths, and an attached casita with private bath and entrance, ideal for long term guests. Ascend to the upper level to enjoy the ultimate game room with a home theater and pool/game tables, as well as 2 more bedrooms and a full bath. 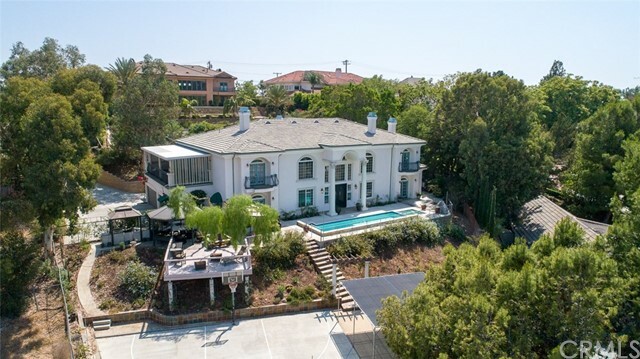 A rare find, this spectacular home looks and feels brand new, while in an established neighborhood, in the attendance area of highly rated Villa Park High, undergoing a major $42.5 million renovation in 2019." "Unique opportunity to own possibly the largest properties left. Approximately 3+ acres of land with home, workshop/guest house and pool large pool home in Villa Park. Home sits on 1/2 acre along with approximately 2.5+ acres of land on 2 parcels, which is currently being leased and used as as nursery. Home has large permitted detached workshop which is perfect for someone who would like to run their business out of their home, make a guest house, have livestock or would like to lease the land as extra income. Home is at the end of a cul de sac, has been well maintained and has high ceilings and large bedrooms. Kitchen is open to the family room and both open up to backyard with a view of the pool. 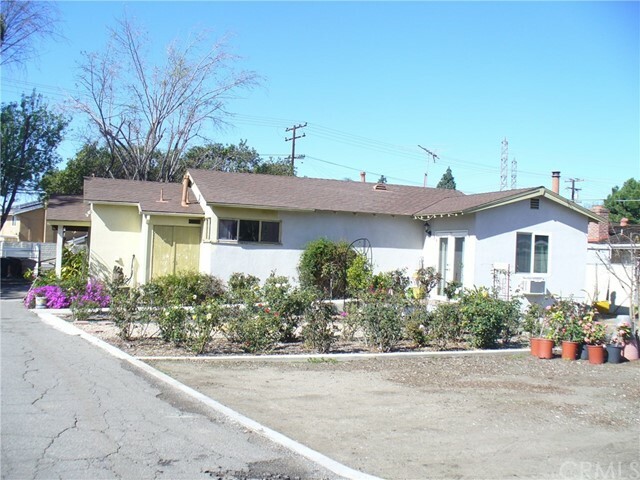 This a great family neighborhood and home has huge potential and endless options." "Hidden Jewel in the hills of Villa Park. Behind a long, gated driveway lined with colorful flowers, you are welcomed to this extremely quiet, private, resort-like home with many HARD-TO-FIND features. HUGE foyers designed for large family gatherings. Open floorplan allows one to see through the house filled with nature light, courtesy of numerous windows. Magnificent dual spiral staircase and soaring 10 vaulted ceilings on BOTH floors. Retreat and relax in the first-floor Master Suite with a fireplace and steam shower. The kitchen has top of the line appliances. Separate cooking area with sink for large-scale cooking without the lingering odor. In the 4 upstairs bedrooms, you will wake up with the morning sunshine and a green wooded view. State-of-the-art theater room designed for movies & classical music without the caveman feeling. Laundry rooms on BOTH floors. 6 fireplaces to warm and enchant your family and guests. Cook your favorite dishes with the outdoor built-in BBQ, while your guests lounge at one of the patios, view decks or poolside, listening to the sound of the waterfalls. A game of basketball or badminton on the sports court is a hit for all ages. From just about anywhere, enjoy beautiful peaceful views of the surrounding hills (with no unsightly utility lines). Huge balcony (not bedrooms) above garage, so no disturbance when garage doors operate. Perfect for large indoor and outdoor events for generations. Room for ADU, boat, RV, etc.. Truly a rare home." "Luxurious custom estate in the hills of Villa Park. A long gated driveway leads to a paver-finished motor-court that introduces the gracious Mediterranean-style residence, which is surrounded by a large homesite with entry courtyard, resort-caliber pool and spa, built-in BBQ, and panoramic city light, hillside and canyon views. Extending approx. 5,935 square feet, the open design reveals a foyer with 2-story ceiling, a formal living room with limestone fireplace and expansive 2-story windows, a formal dining room with butlers pantry, and a great room with pub-style wet bar, built-in media center and fireplace. Limestone floors, arches, tray ceilings and built-ins complement the home, which hosts a double-island kitchen with nook, walk-in pantry, breakfast bar, granite countertops, a built-in Sub-Zero refrigerator, 6-burner gas cooktop, double ovens and 2 Bosh dishwashers. Four bedrooms and 4.5 baths are showcased, with 4 guest bedrooms on the first level and the master suite located upstairs. The 5-star suite boasts a fireplace, a versatile retreat, built-in entertainment center, a large view balcony, and a lavish bath with 2 walk-in closets, a jetted tub and separate shower. Incredible 180 degree panoramic views all the way to Catalina." "Your very own 5 star resort. 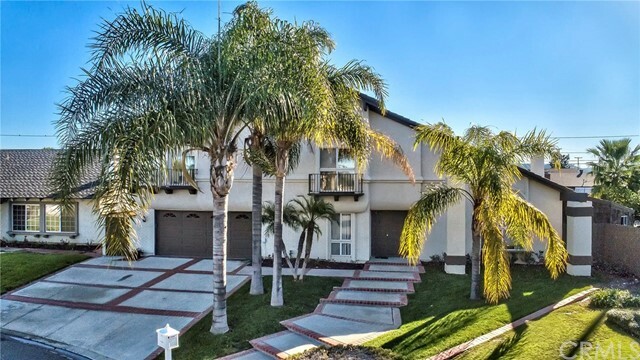 The lifestyle you deserve awaits you at this 5 bed 5 B property in Villa Park. Mostly rebuilt in 2006, this Tuscan style home offers all of the bells and whistles for the astute buyer of today. The incredible yard is an oasis that must be experienced an entertainer s paradise including lush specimen palms, large covered patio, built in BBQ with seating, plus surface burners and refrigerator, pool, spa and waterfalls, huge fire pit with seating, 440 sq. ft. octagonal pool house with bath, plus swings and jungle gym. The interior is light and airy with a circular floorplan has abundant custom mullioned windows in every room offering a multi-functional floor plan.. The chef s kitchen has stainless appliances, adjoins a breakfast nook and overlooks the incredible yard. Upstairs the elegant Master suite offers a huge bedroom has two ceiling fans and French doors to a spacious balcony overlooking the yard, while the bath has double vanities and mirrors plus a dramatic shower and soaking spa tub. Huge walk in closet professionally organized with dressers, shelves and hanging space. In addition there are four other bedrooms two with walk-in closets. The laundry room, located upstairs for convenience has a utility sink plus folding counters. Dual heat and air, security and three car garage with gated vehicle access on the right. Visit this incredible property for yourself!" "Spectacular sprawling single story estate. The grounds are like a botanical garden & immaculately maintained. Enter through very tall beveled glass double doors into a formal entry w/ gleaming wood floors & beautiful chandelier. Oversize dining room w/ beautiful chandelier, grand enough for major entertaining. The kitchen is a professional chef s delight w/ huge center island, granite counter tops, two sinks, a Viking French door double oven, Viking dishwasher, Traulsen freezer, Traulsen refrigerator oven, & Multiple Gaggenau cooktops, including deep fryer, 6 electric burners and 4 gas burners nothing is overlooked. Many cabinets for storage just have to see this kitchen to appreciate it! !The kitchen opens to a sunny breakfast nook. Wonderful family room w/ stunning fireplace, walk behind wet bar & more. Multiple windows & doors overlooking lush grounds & sparkling pool & spa. Master suite w/ professionally organized his & hers walk in closets, double sink areas, two w.c. s, a soaking tub for two & much more. 3 beautiful secondary bedrooms. Granite, Wood floors, hard surface bathroom floors, crown molding, deep baseboards, canned lighting, Baldwin hardware everything is first class. 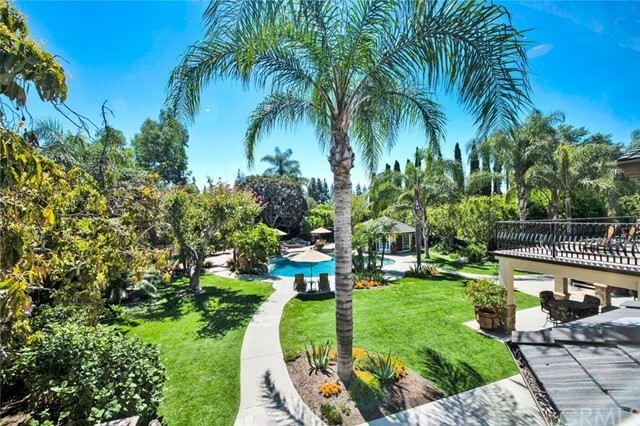 Lush grounds w/ room for soccer, volley ball, gardening, swimming and sunning. Amazing covered outdoor living area, even an outdoor/pool bath. Huge driveway w/ room for multiple vehicles & possible small r.v./boat access. 2 garden storage sheds complete the grounds, nothing is overlooked." "Stunning tennis estate set in the heart of Villa Park. This home offers so many amenities including but not limited to Bonus Room, sparkling pool and Spa, wonderful tennis court, outdoor kitchen, firepit, separate guest quarters, single story living other than the separate guest quarters. Room for r.v. access, impressive circular driveway. Immaculate throughout with concrete tile roof and solar system (owned outright no additional costs). Enter through double beveled glass doors in the impressive entryway with travertine floors and decorative archways. Large open formal living room with glistening wood floors and custom fireplace. Formal dining room has room for large sit down dining with beautiful bay window and butler s pantry. Expansive kitchen is ever gourmet cooks dream, lots of counter space including central island, stainless appliances and sunny breakfast nook, kitchen opens to family room which offers custom fireplace, built ins and extensive room for family living. It also opens to huge bonus room with walk behind bar. Master suite is generous to say the least with huge custom built walk in closet and beautiful bathroom. Secondary bedrooms are spacious, light and bright, even an office and huge laundry/utility room. Extensive grounds encompassing regulation tennis court, sparkling pool and spa, outdoor kitchen and much more. Separate upper level guest quarters. Buyer to verify square footage." "Quintessential Villa Park living! When people think of living in Villa Park,this is the home that comes to mind.A spacious,rambling ranch style home on almost 1/2 an acre with a sparkling pool & spa.This wonderful home exudes comfortable elegance.A welcoming gated courtyard leads to stunning glass doors with full side lights opening to a grand foyer looking into the gorgeous living room.The living room has French doors overlooking & leading to the very private,park-like back yard,an inviting fireplace & cathedral ceiling.Adjacent to the living room thru an arched doorway is the large formal dining room with trey ceiling & a wall of windows overlooking the yard.Designed for gourmet cooking,the enormous kitchen has a 6 burner Thermador range,cabinet faced built-in refrigerator & dishwasher,a huge center island & 2 walk-in pantries.The family rm. is inviting with fireplace,trey ceiling & French doors to the patio,plus a stunning wetbar,Powder & laundry rooms are near the family room. The bedroom wing features 3 spacious bedrooms with ample closet space serviced by a full bath with double vanity,tub/shower combo,& separate shower with access door to the pool.The master suite is magnificent with trey ceiling,sitting area,French doors to the back yard,a huge walk-in closet & opulent bath.The expansive yard features a wide wraparound patio, pool&spa & lots of grass for pets or play.The 4 car garage has plenty of storage cabinets & one has a pull thru to the back yard. Make it yours!" "First time on the market in 28 years. This house is move-in ready. Cooks kitchen with all stainless appliances and granite countertops. Remodeled bathrooms, newer tile roof, new exterior paint (18 months ago), newer carpet in living room and upstairs, wood floors in dining, kitchen, 1/2 bath and family room. New Carrier high efficiency HVAC and new duct work in attic. Five bedrooms, 3.5 baths on the top of a very private cul-de-sack lot with only 5 neighbors on the block. Remodeled large pool with new tile (5 months ago) and above ground Jacuzzi. Villa Park schools easily walked to. RV parking, large side yards that would accommodate a guest house or extra garage with living above. Beautiful outdoor kitchen with 52 Dacor barbeque, sink and stainless refrigerator. Fire pit with ember protected fire ring that easily seats 4." "Location, location, location. This is an exceptional location, home orientation superior with yard on the Westerly side of home having lots of sunshine all day, especially in afternoon and early evening, naturally lighting up the interior of home, bright and open. The home is located on a corner lot and towards front of lot making room for a large usable sunny yard, an upper area with large pool and a large lower area to be used as you wish. The lot is just short of 20,000 SF. 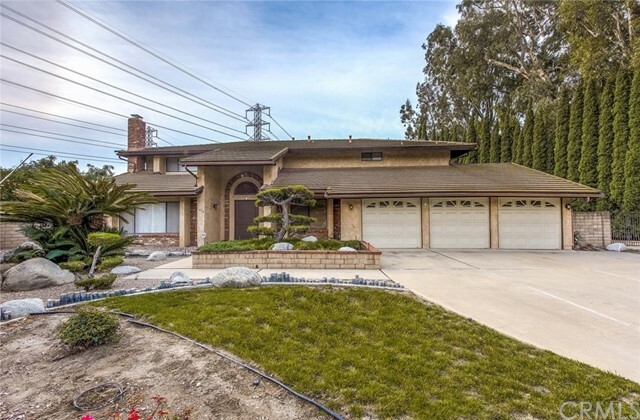 Also, it is a short distance to all the area schools, the shopping center, the hiking trails, and easy access to toll roads and relatively close to freeways. Large 5 bedroom home, 3 baths, formal living room with vaulted ceiling and fireplace, large family room with fireplace, office/den with fireplace, formal dining room and informal dining area, laundry room, large pool and Jacuzzi and 3 car garage with additional area for storage. It is the perfect home for entertainment and large gatherings with a large patio with patio cover and 2nd side patio with patio cover and gas burning fire pit by pool. Functional open floor plan, lots of light, high vaulted ceiling, mature fruit trees, security system." 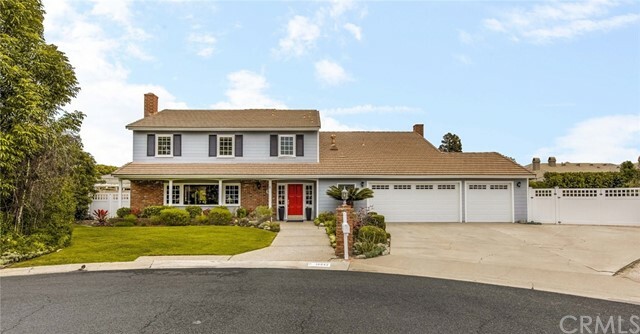 "Nestled in the Prado Woods area of Villa Park, on a quiet cul-de-sac street & 12,000+ sqft corner lot, sits a majestic updated & upgraded estate w/5 bedrooms (4 bedrooms up, including master suite & 1 jr. suite downstairs), 4 bathrooms, & over 3,000 sqft of living area. As you enter the home you'll notice the attention to detail & craftsmanship that went into renovating it. Starting w/the custom modern front door entry w/frosted glass & side panels, elegant designer wood flooring thru-out & custom modern wrought-iron handrails leading you up to the 2nd floor. The inviting & open floor plan leads you from the formal living & dining area to the generously appointed & ample sized kitchen that features quartz countertops, white subway style backsplash, brand new stainless steel appliances & sink, shaker style cabinets & huge center island w/accented dark grey quartz & an abundance of storage. Surely not to be missed is the standalone bar area complete w/utility sink, built-in wine rack & wine fridge (included) making this a perfect place to get the festivities going. But why stop there? Open the La Cantina accordion doors to the outside & let the real entertaining begin! A generous sized covered patio stretches from side to side w/a gorgeous pool & spa directly in front of you & a gas fire pit to keep you toasty under the starry Villa Park nights. With so much to offer, this estate is a truly must see before it's gone." "***Main floor Master Bedroom Alert*** Absolutely Stunning Villa Park Home! Remodeled with Custom Touches in Every Room. Cul-de-Sac Street and well manicured landscaping lead you to the Double Door Entry and a Dramatic Foyer sure to please any guest. Natural Light abounds with Cathedral Ceilings in the formal living room and dining room. Kitchen with Granite Counters, brand new Dishwasher, recessed lighting and breakfast table area. Family room is adjacent to kitchen offering warm fireplace, spacious built ins and french doors to the backyard. Master Bedroom is Gorgeous - Lovely Retreat Area with Fireplace, and extra closet. Sun-room attached to the Master offers an abundance of natural light and a great office, reading room, workout room, or anything else you like! 3 bedrooms and 3 bathrooms are located on the main floor of the home and a large 4th bedroom, full bathroom and loft area are found on the second level. The backyard is absolutely delightful with mature fruit trees, a sport court, and covered patio (vinyl) with ceiling fans. Here you'll also find a built in Barbecue (gas) with mini fridge, fire pit, and storage shed. 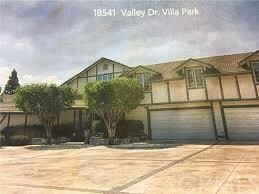 Villa Park Schools, NO Hoa, and NO Mello-Roos." 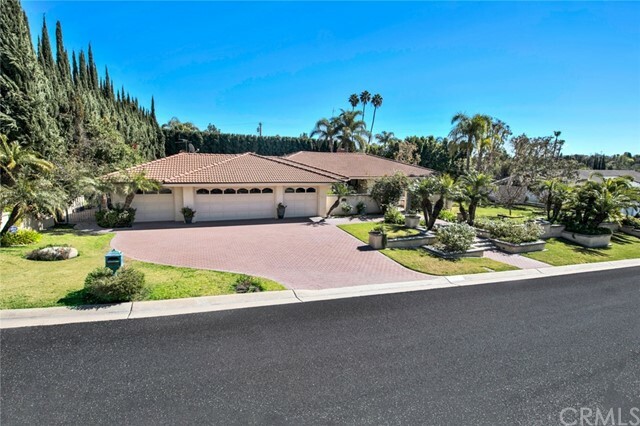 "This single-story 4 bedroom, 3 bath home nestled in the great area of Villa Park is set upon a peaceful cul-de-sac on nearly 1/2 acre on the green and well maintained grounds. This is an open floor plan which connects the spacious, open beamed family room to the French Country style kitchen with center island, custom cabinets, granite countertops and newer appliances. The luxurious Travertine tiles extend from the entry to the formal living room with large bay windows. The formal dining room with French doors toward the gardens is another radiant spot in the house. The roomy master bedroom suite offers HIS & HERS mirrored walk-in closets and double sink countertops in quartz tile. Enjoy the tranquility of the wraparound yard and patio complete with sparkling pool & spa, various mature trees, and beautiful roses. The attached 2-car garage has plenty of room for tools and storage." "Beautiful Turnkey Single Level Pool Home. Very desirable expansive single level home, featuring a custom double door entry into an atrium that is the center point for the home bringing in natural light throughout. Entering the home through a custom glass door, reveals a spacious formal living room and dining room. The large family room with rock faced fireplace and wet bar opens into the gourmet kitchen complete with stainless steel appliances, 6 burner gas cook-top, a pair of drawer dishwashers, corian counters and plenty of counter space and cabinets for storage. An office is located off the family room, and has its own bathroom, and leads to the large 3 car garage. On the other side of the home is the spacious master suite with a mirrored dressing area, bathroom with dual sinks, separate walk in shower and Jacuzzi tub. Down the hall are three additional spacious bedrooms, and an additional full bathroom with dual sinks. Features include plantation shutters throughout, mirrored wardrobe doors, recessed lighting, dual pained windows and doors. Outside is a tropical oasis with a large heated swimming pool with hot tub, mature palm trees, gigantic covered patio, builtin barbecue, and a private sunning area off the master suite. This home will not last long!" "This expansive 5 bedroom, 3 bathroom Villa Park home set at the end of a cozy cul-de-sac on a large pie shaped lot captures idyllic times and provides lots of promise to its potential new owners. The floor plan offers the flexibility of a downstairs bedroom or office and an additional upstairs den that has a loft feel that looks into the living and dining room from the 2 story vaulted ceiling. The large Master Suite has an office addition built out to provide greater square footage than the other similar floor plans in this tract and it could easily be converted into an exercise room, a retreat, or a grand master bathroom. 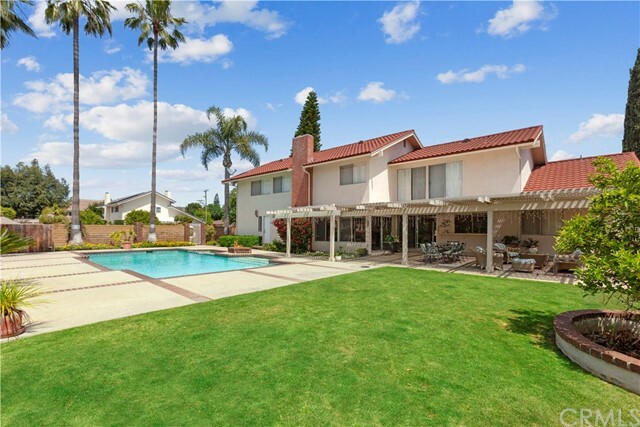 Lined with palm and citrus trees this home also features an in ground swimming pool in its large back yard and a trellis covered patio with a dining counter and a fire pit. 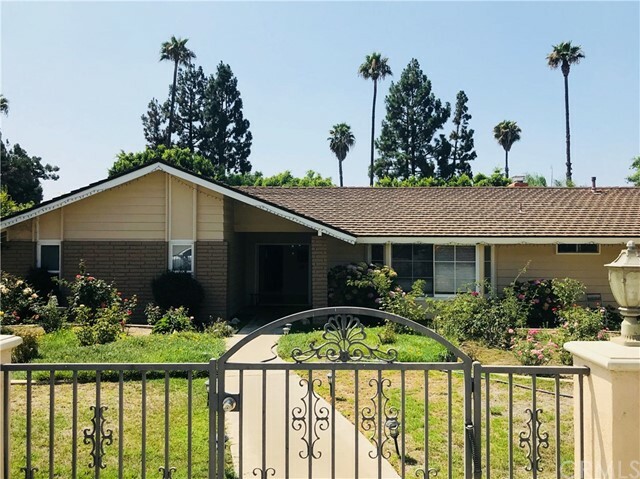 With plenty of parking, storage and quick access to shopping, schools, and freeways, this home is ready for its renewal." "25000 square foot lot. Original house has added apartment of approximately 450 square feet with bedroom, bathroom, kitchen area in small living room. Bedroom in original house doubled in size and handicaped ramps for entrance and exit added thru a sliding glass door. The original garage (20X50) has had a granny unit created in 1/2 of the garage. Garage permitted, but granny conversion is not permitted. City says can be permitted. Oversize 2 car garage and two cement block horse stalls added to rear of property. Approximately 1400 square feet of cement pad at rear of property. Property has been well maintained, but no upgrades. Offers opportunities for multiple family units or contractors with parking for equipment. Privacy fence on Santiago Blvd and large mature shade trees. Could be used as a B&B or a room and board residence for 6 or less."